How to view contact insights . 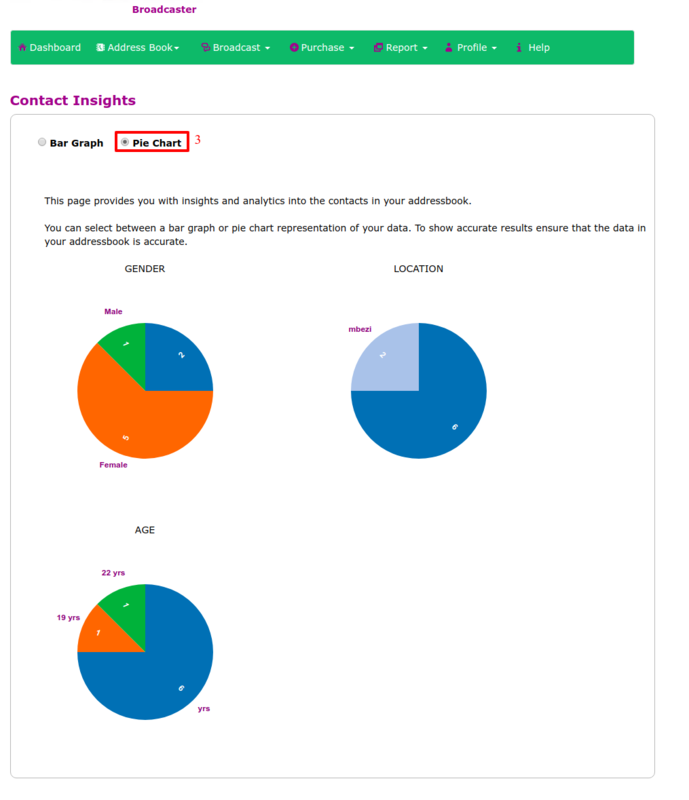 Contact Insights shows you with analytics summary of your contacts in your address book. Click "Address Book" from the main menu. 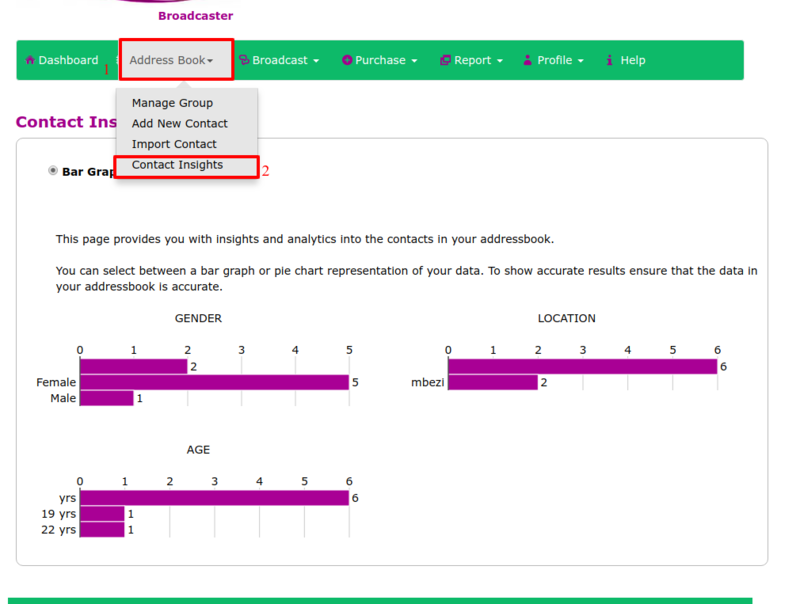 Select "Contact Insights" from the drop down menu. and automatically data will be viewed in form of a bar graph. Select pie chart then also data will be viewed.